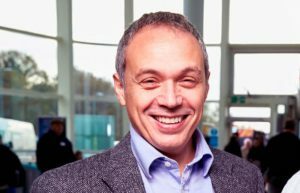 Professor Tony Belli is a Professor of Trauma Neurosurgery and Director of the Surgical Reconstruction and Microbiology Research Centre (SRMRC) based at the Queen Elizabeth Hospital Birmingham (http://www.srmrc.nihr.ac.uk/). The SRMRC is a leading centre for trauma research and was founded in 2011with £20M grant from Department of Health, Ministry of Defence, the University of Birmingham and University Hospitals Birmingham. He heads the neurotrauma research theme, which carries out translational research on traumatic brain injury and spinal cord injury. He is also a practising neurosurgeon at the Queen Elizabeth Hospital where he leads the Neurotrauma service comprised of a highly specialised team of doctors, nurses and therapists. Prof Belli has been lead investigator of several phase II and phase III clinical trials and runs a large research programme on sport concussion. He is an independent expert advisor on concussion to England’s Rugby Football Union and Football Association, as well as GB Basketball and British Rowing. He is also Deputy Chair of the Neurotrauma and Critical Care Committee of the European Association of Neurosurgical Societies and Chair of the Military Committee of World Federation of Neurosurgical Societies.